Sudbury Hall's Kitchen with a newly fitted Vinyl eyemat, replicating & replacing the old victorian lino. 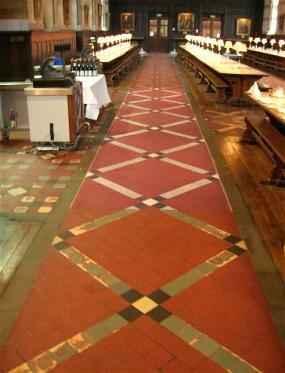 These images show the before & after of the Dining Hall floor at Keeble College, Oxford. 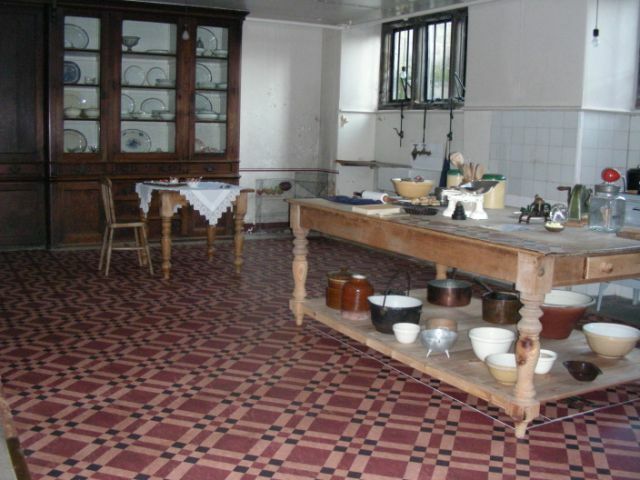 A section of the tiled floor had been removed due to the deterioration of the caustic tiles by the entrance to the kitchen area. Obviously the floor was repaired with a concrete screed which left a far from desirable result. 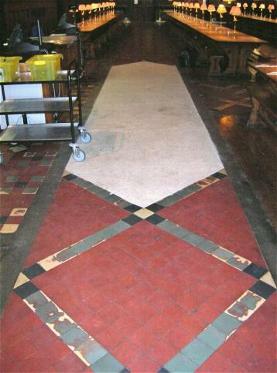 The floor is due to be completely relaid within 2 years, so we came up with a semi-permanent answer using our unique eyemats 'Conservation Floor Protection System'. We photographed a 'good' section of the Dining Hall floor and replicated it using state of the art digital photography and printed these images onto our high quality eyemats. The total area covered is 150 cm wide by 750 cm long (in three sections). we then used a low tack adhesive to assist with bonding to the concrete screed. 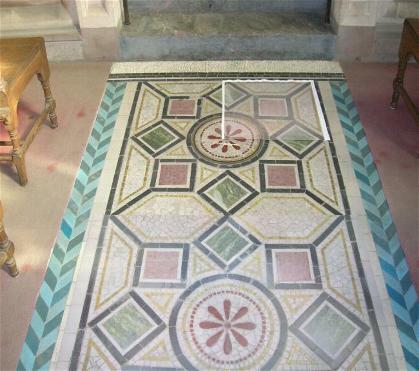 Chapel Floor at The National Trust Tyntesfield with eyemat proofing panel in situ. Great Hall at Petworth House with eyemats used for protecting the floor during functions. For more information call us on 01634 752013.